Curious Eye . . .
ZOHIR 08 years old with his little brother MAYHEN 01, leaved in Kamrangir Char, Dhaka, Bangladesh with his family. Zohir works as a child labour and to support his family, they have a little balloon factory, its operate his father name ZAKIR HOSSAIN and his mother name is BEAUTY, have three children. ZOHIR said, after finished my school, I support my family to make a balloon. It is our families business, we operate it long year ago. 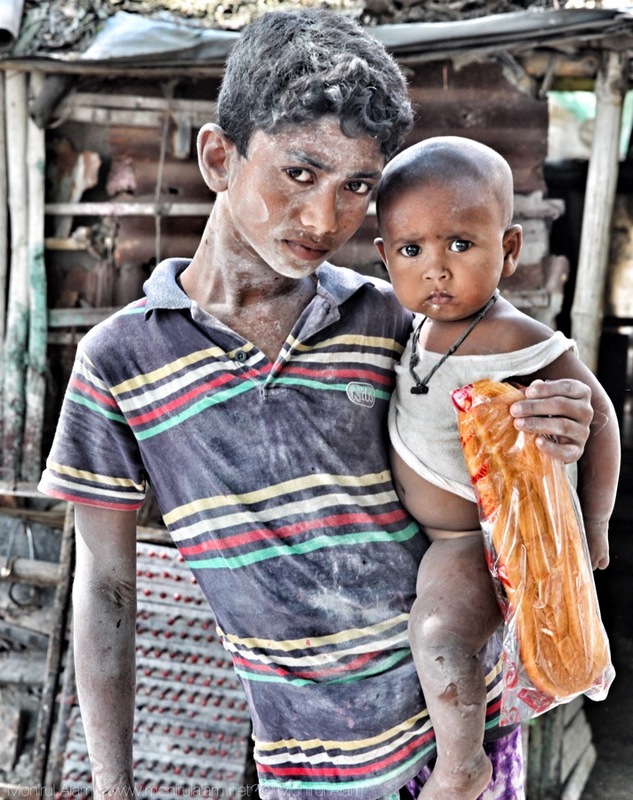 Child labour is very common in Bangladesh. Many families rely on the income generated by their children for survival. Employers often prefer to employ children because they are cheaper and considered to be more compliant and obedient than adults . It’s a bathing time . . .